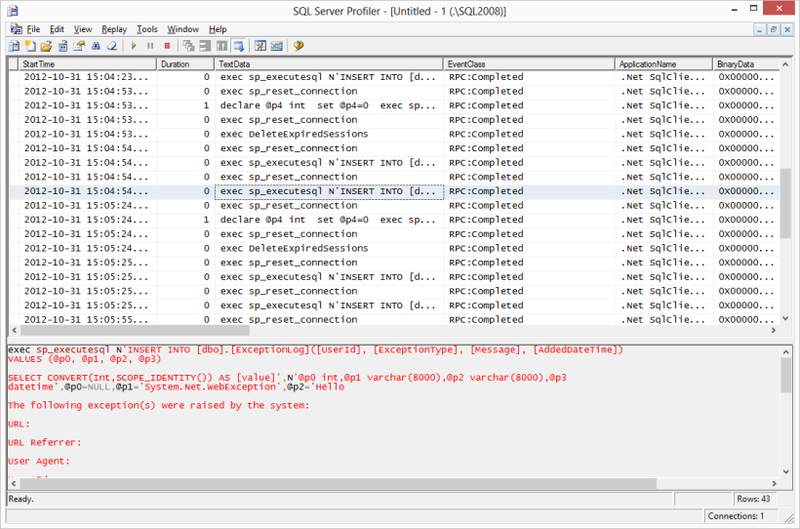 So first off I’ll provide a brief overview of SQL Server Profiler and what a “trace” is. Then I’ll show you how to configure and run a trace. Finally I’ll throw a few LINQ to SQL examples at a local SQL database and provide the final T-SQL generated. 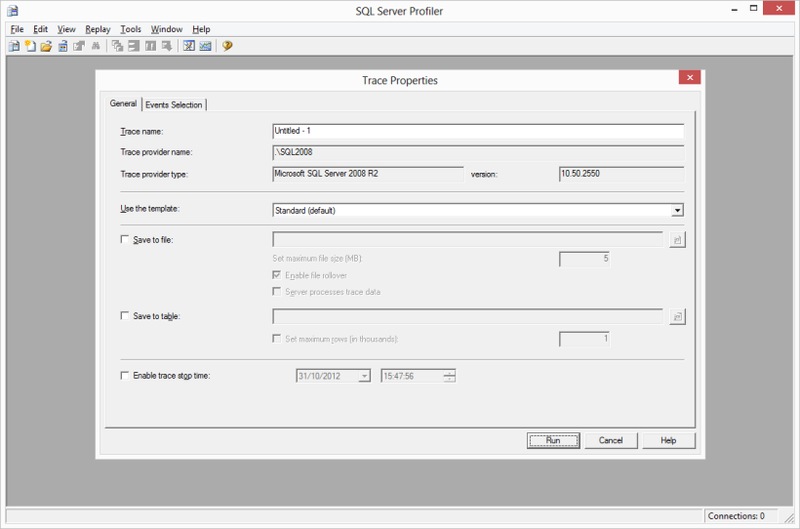 SQL Server Profiler comes packaged with SQL Server so if you’re running SQL Server Management Studio chances are you’ll find a shortcut to this particular tool in amongst the SQL shortcuts, or via the Tools menu option in SQL Server Management Studio. Its primary aim is to analyse, and even replay SQL trace results, for the purpose of troubleshooting, diagnosis, benchmarking, monitoring, etc. As a developer you can imagine how helpful this can be when you want to identify bottlenecks, optimise your system during the testing and performing tuning phase, generate performance reports, etc. Once you delve into examining SQL events you’ll start to notice that SQL generates a LOT of unique events (well over a hundred) and in order to help isolate the ones you’re looking for you have to create what’s called a trace. 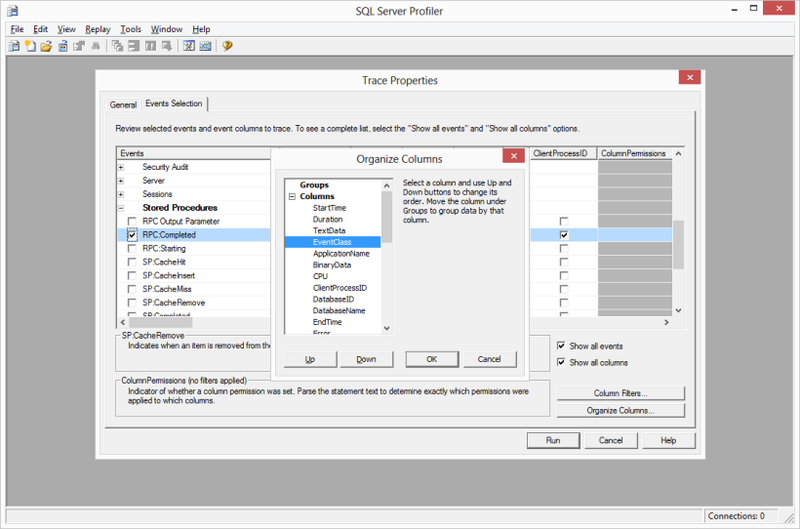 The trace defines which SQL events to capture as well as providing very handy filtering and output options. The trace results are also returned in a tabular fashion which you can browse through within the tool or export for use elsewhere. Click on “File” in the menu and select “New Trace…” then select the appropriate connection settings. You’ll then be presented with a fresh “Trace Properties” window from where you’ll be able to configure your trace. Leave everything as is on the “General” tab with the exception of the “Use the template:” option which you want to change to “Blank”. This essentially clears the events the trace is going to capture so that we can start from scratch and only add those we want. There are a lot of preconfigured templates but we want to avoid those for now. Now click on the “Events Selection” tab and you’ll see an array of events all grouped accordingly. We want a specific event called “RPC:Completed” which is under the “Stored Procedures” category. Select the checkbox to the left of “RPC:Completed”. This tells our trace that we want to capture all events that are fired when a remote procedure call completes it’s execution. Click “OK” to save the column order then click “Run” to proceed. Congratulations you just created a trace! 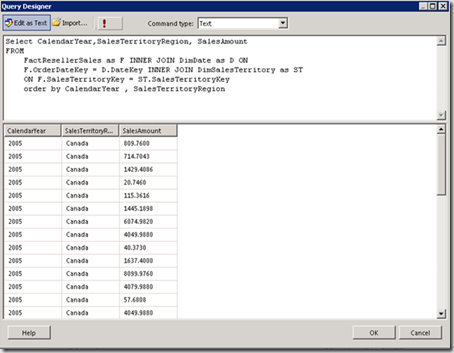 Now that the trace is up and running we’ll start to see all stored procedure calls that are completed against any database associated with the connection you chose earlier. 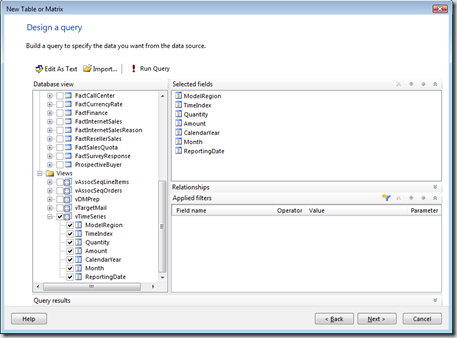 If you fire up a Windows C# application that makes LINQ to SQL calls you’ll start to see them appearing in the trace output. What’s important to clarify at this point is that even if your LINQ to SQL queries aren’t calling a stored procedure the system stored procedure sp_executesql will be executing the queries, and that’s what the trace will be capturing. 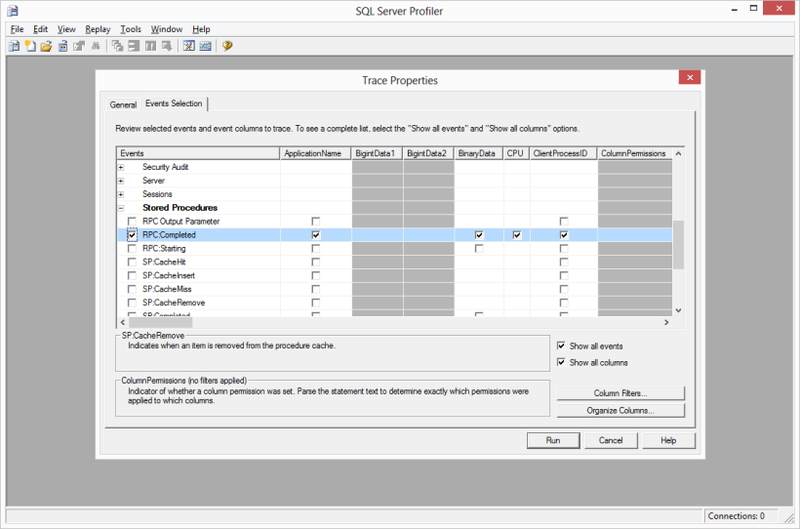 You can use the Pause/Start buttons to halt the trace if need be so you don’t find SQL Server Profiler auto-scrolling to the bottom of the list every time a new procedure is completed. You can see the exact SQL output. More information is displayed above as well so you can get an idea for what other data is associated with the trace; duration in milliseconds, DatabaseName, RowCounts etc. All very useful. If you look closely you can see the JOIN, WHERE clause and ORDER BY just as you’d expect. If you want to edit your running trace you’ll have to pause it, select the properties option to edit it then get it running again – “File > Properties”. 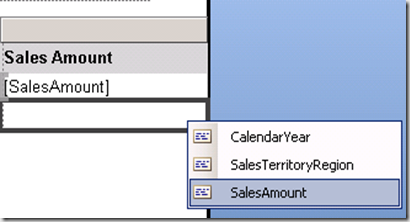 Another useful event under the SQL group is SP:StmtCompleted. SP:StmtCompleted returns every single statement completed whereas RPC:Completed only returns the last remote procedure executed. So if you called a stored procedure which contained five individual queries from your LINQ to SQL you’d see five SP:StmtCompleted events and one RPC:Completed. Save the trace you’ve created as a template so that you can reuse it again – “File > Save as Template“. You can even save it into the list of templates that appears in “New Trace” window for easier access or share it amongst your development team. Apply filters to the trace in the “Events Selection” tab. See the “Column Filters…” button. Useful if you want to identify queries taking longer than 10 milliseconds or just target a given database. Look into the Database Engine Tuning Advisor tool and how it can analyse trace outputs to help create indexes to boost performance. 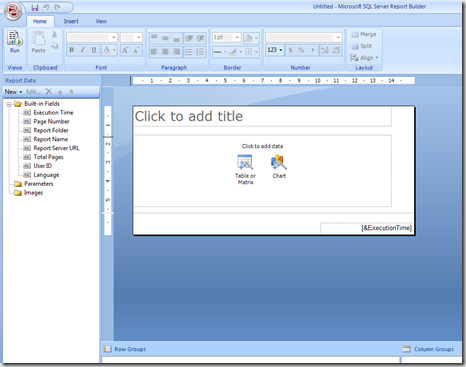 Report builder 2.0 is a report authoring tool that we can use to design and publish reports. 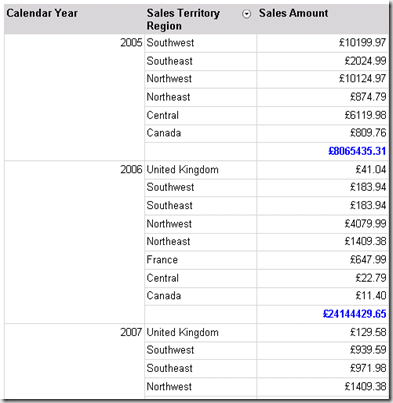 We can specify the data source, what data to display on report and which layout you prefer to see the report. When you run the report, the report processor takes all the information you specified and retrieves the data and generates each page as you view it. 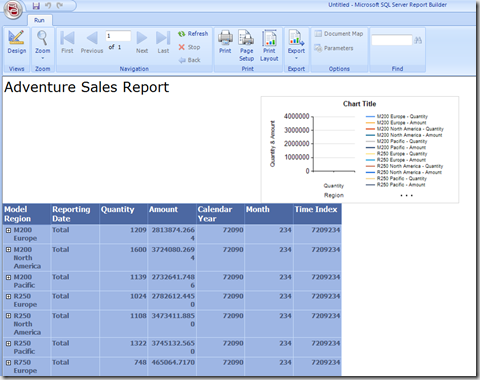 This post explains step-by-step details of creating the report using Report Builder 2.0. 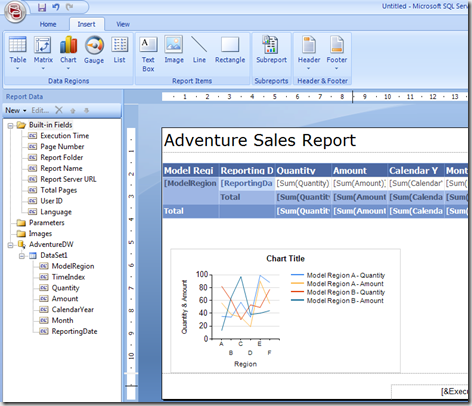 Download Report Builder 2.0 here. 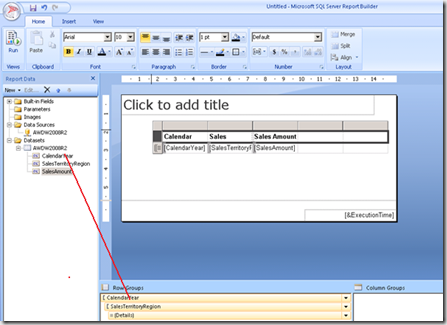 Report Builder was first introduced in SQL server 2005 and it is still available in report. 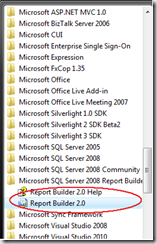 After Installing Report Builder you can launch it by Start->All Programs->Microsoft SQL Server Report Builder 2.0. 2. 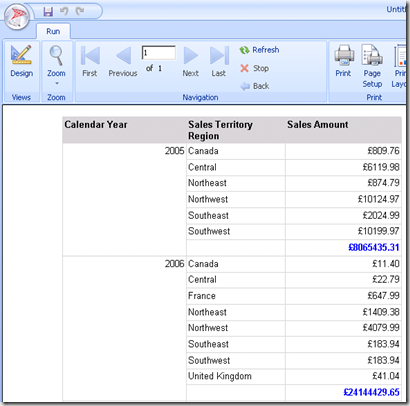 Visually there are number of differences when you compare with the SQL Server 2005 report builder. - The office 2007 ribbon interface. - On the left hand side of the designer you will see built-in fields,report parameters, images and data fields. - To begin designing a report, you can select either Table or Matrix or Chart icons from designer interface as shown above. 3. 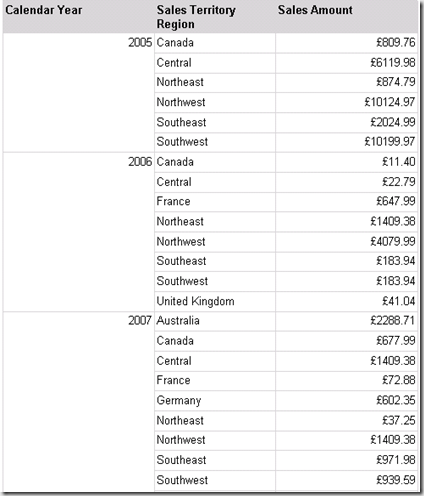 This post using the AdventureWorksDW2008 sample database as data source. You can download the databases from here. 5. 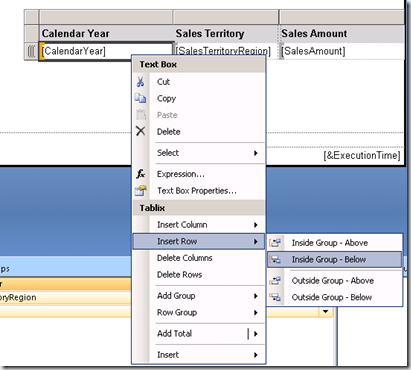 After completing the data source connection configuration, then click next to design a query for your report. 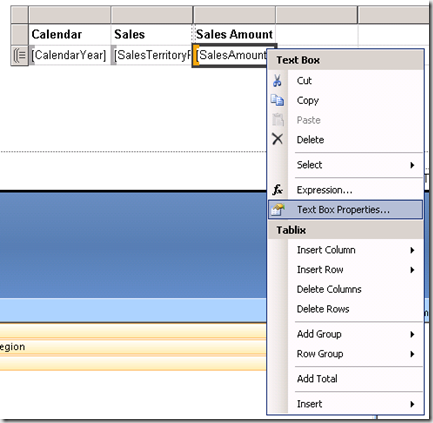 Either you can select the data fields or views from your database or you can use editor to type your sql query for binding data. 6. 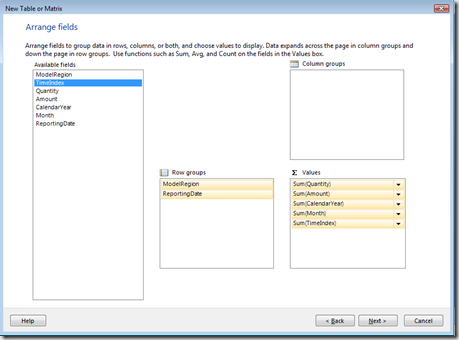 Click next to get the Arrange fields-dialogue box where you can drag and drop your data fields into the Row groups. 7. Click Next to choose the layout for your report. 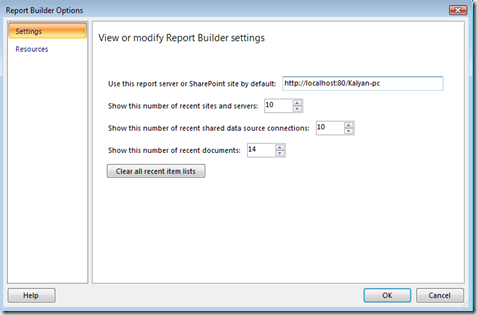 You can enter the URL of your default report server or SharePoint site where you want to deploy your reports. 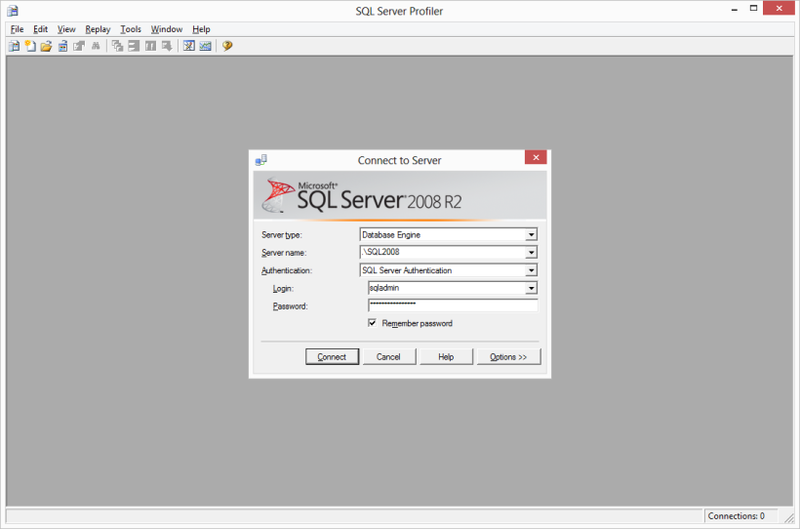 Upgrading a database server to SQL Server 2008 R2 involves more than just inserting an installation DVD and clicking your way through the wizard. A lot of planning goes into a SQL Server upgrade. In this article, I will share with you 10 tips that should help your upgrade process to go more smoothly. If you're looking for Windows hosting that support SQL 2008 R2, you may try us to be your partner. Please take a look our hosting plan at here. OK, let we start this article..
Before you begin planning an upgrade, you need to be aware of Microsoft’s supported upgrade paths. For example, if you are currently running SQL Server 2005 X64 Enterprise Edition, you can’t upgrade to SQL Server 2008 R2 Standard Edition. Your only options are to upgrade to SQL Server 2008 R2 Enterprise Edition or Datacenter Edition. The Upgrade Advisor, which is a part of the SQL Server 2008 R2 Feature Pack, is a free utility that is designed to assist you with your SQL Server 2008 R2 upgrade. The tool analyzes your existing SQL Server deployment and informs you of issues that need to be addressed prior to performing an upgrade. 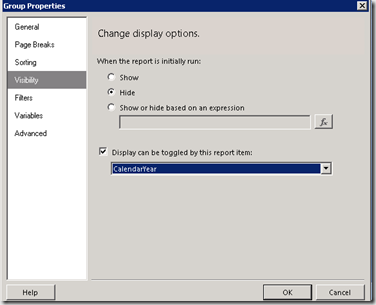 The report generated by the SQL Server Upgrade Advisor often contains a section called Other Issues. This section exists as a way of informing you of possible issues that may exist, but that the tool is incapable of testing. Therefore, the issues that appear in the Other Issues section may not necessarily be present on your network. 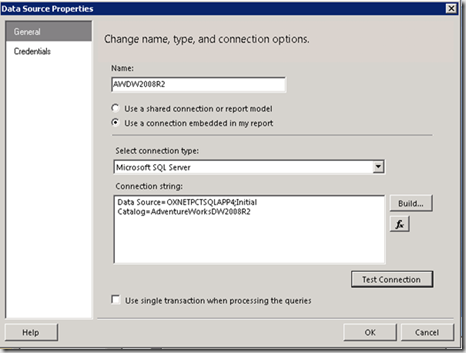 Services were discontinued starting with SQL Server 2008, and can’t be upgraded to SQL Server 2008 R2. If you’re considering an in-place upgrade (rather than a migration), it is critically important to verify that your existing SQL Server meets all the hardware requirements for running SQL Server 2008 R2 and that all the necessary software prerequisites are in place. Check out this full list of the hardware and software requirements. Although it should go without saying, you should always perform a full server backup prior to performing a SQL Server 2008 R2 upgrade. The upgrade process usually goes smoothly, but things can and sometimes do go wrong. 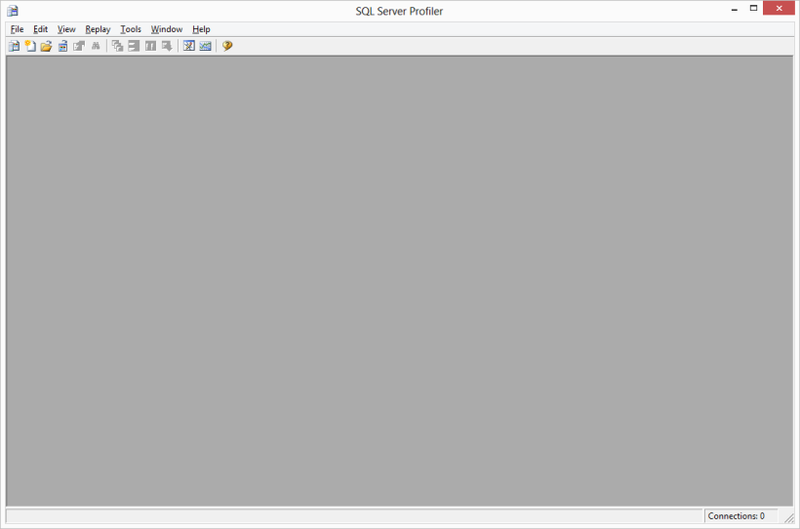 It’s important to have a way to revert your SQL Server to its previous state if the upgrade does not go as planned. There are a few things that you should do prior to upgrading the database engine to ensure that things go smoothly. First, if you are running the Analysis Services, make sure you upgrade them before you upgrade the database engine. The Analysis Services must be upgraded first. Just before the upgrade, temporarily disable any stored procedures. During the course of the upgrade, various SQL-related services will be started and stopped. If you have stored procedures that are configured to run when services start, there is a good chance those stored procedures will interfere with the upgrade. Also check the Master, Model, MSDB, and TEMPDB databases and verify that they’re set to autogrow (and that there is plenty of disk space available). In addition, be sure to disable database replication prior to performing an upgrade. Finally, even though SQL Server 2008 R2 is designed to preserve the Max Worker Threads setting, Microsoft recommends setting the Max Worker Threads value to 0. 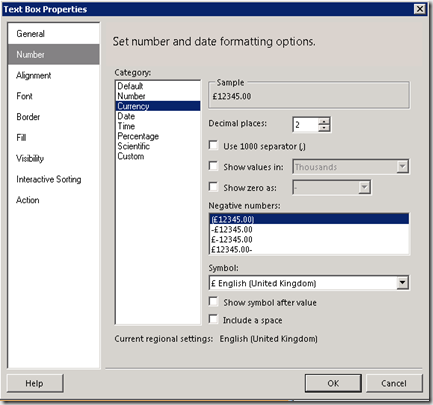 This will cause SQL Server 2008 R2 to automatically calculate the optimal value. 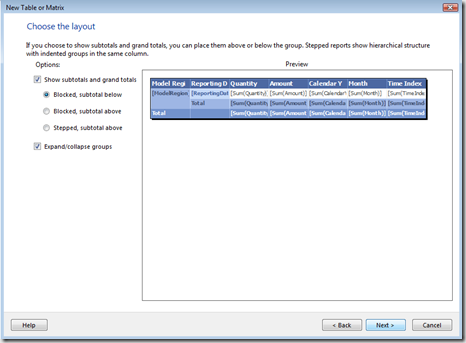 Microsoft has removed the Surface Area Configuration Tool from SQL Server 2008 R2. Most of the tool’s functionality still exists, but it has been rolled into other areas of the application. 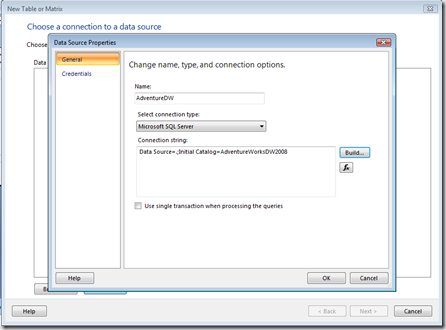 For example, protocols, connection, and startup options are now found in the SQL Server Configuration Manager. 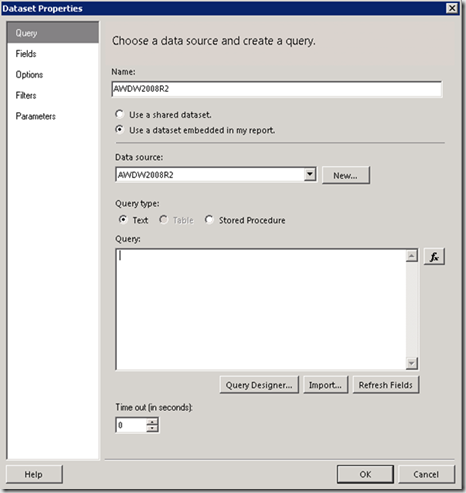 If you use the Surface Area Configuration Tool from time to time, it’s a good idea to deploy SQL Server 2008 R2 in a lab environment so that you can get a feel for what it takes to manage SQL without this tool. Before you attempt to upgrade a production database server, try the upgrade in a lab environment. Make a full backup of a domain controller, a DNS server, your SQL server, and any other required infrastructure servers and then restore those backups to isolated lab servers. Once SQL is up and running, try out your upgrade plan in the lab. That way, you can handle any issues that come up before you have to perform a real upgrade. When the upgrade is complete, run DBCC UPDATEUSAGE on all of your databases to ensure database integrity. You will also need to reregister your servers and repopulate full text catalogs. 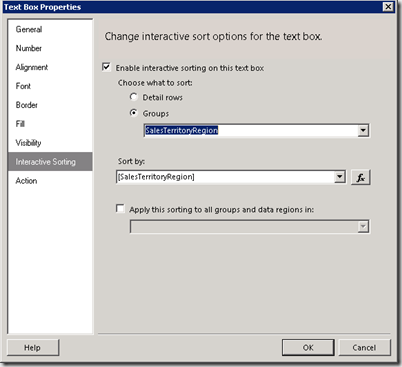 If you have disabled replication or disabled stored procedures for the upgrade, you will need to put things back to normal.